The apps you build and publish with PowerApps are discovered and used in Dynamics 365 on the web. It displays all of your apps -- the apps that you've specifically chosen to use (that is, by launching from a share email or opening from AppSource) or that an admin has provisioned for you. This includes all of your apps from PowerApps, as well as Dynamics 365 applications from Microsoft. You can search for apps, filter by environment, and pin the apps you use most frequently to the top of the page. 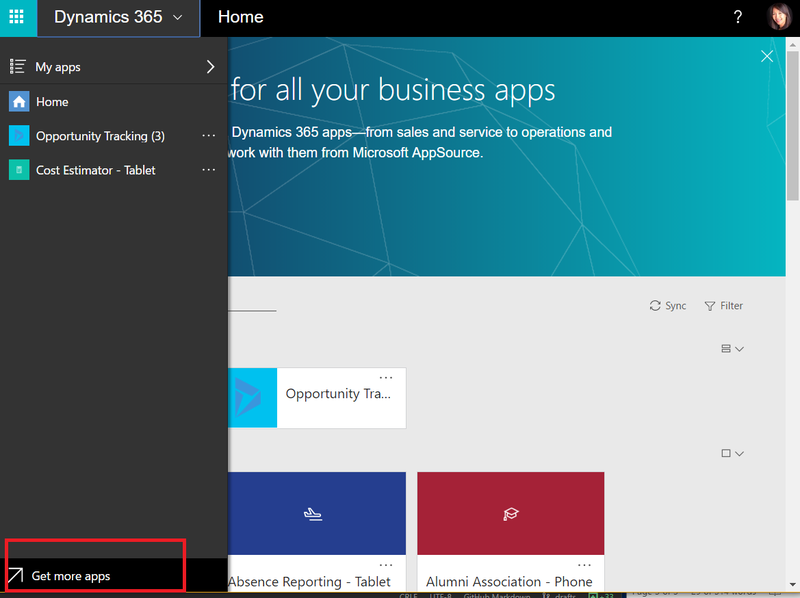 Microsoft AppSource is now embedded in the Dynamics 365 home page and throughout the common navigation. It now includes a private gallery of apps available to you within your company. 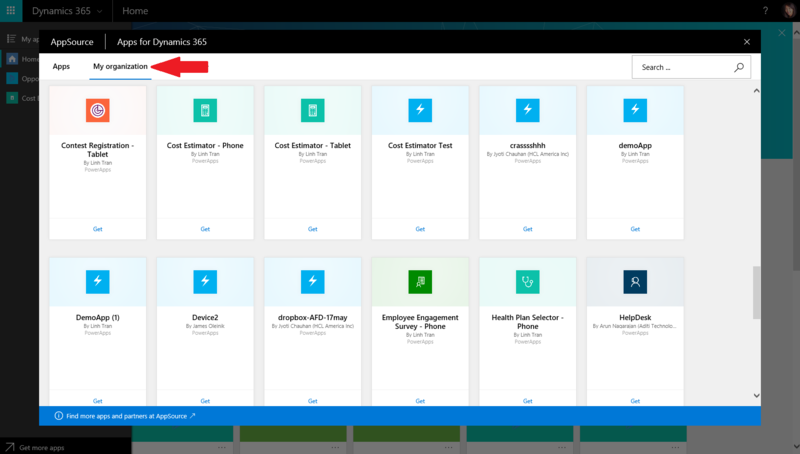 Select Get more apps from the home page or task pane, and navigate to the My Organization tab to see apps that are available to you. Apps built with PowerApps and shared with a security group or the entire company with User permission will appear here, instead of cluttering your home page by default. When you get an app from AppSource, it will then appear on the home page and be easily accessible throughout the experience.